Praveen Pathiyil’s Forecasts: Nifty up 130 points, is correction over? It has been a great day for the bulls yesterday, with no bears hardly found on the trading floor. The question is, 'is this the start of the next leg up?' This can only be answered by looking into the major time frame chart. 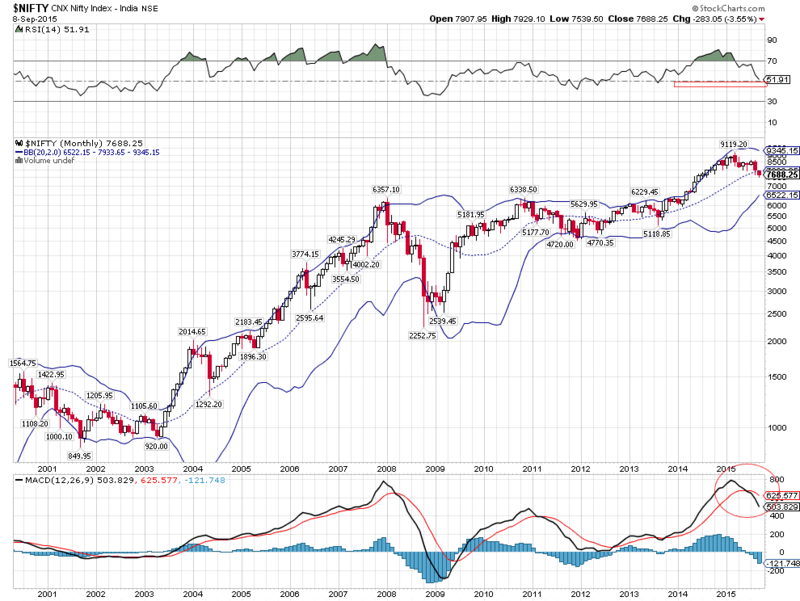 Let us pull up the Nifty monthly chart to understand where we stand. Looking at the chart, it is clear that the up move of 130 points that we saw yesterday hardly had impacted the ongoing correction. 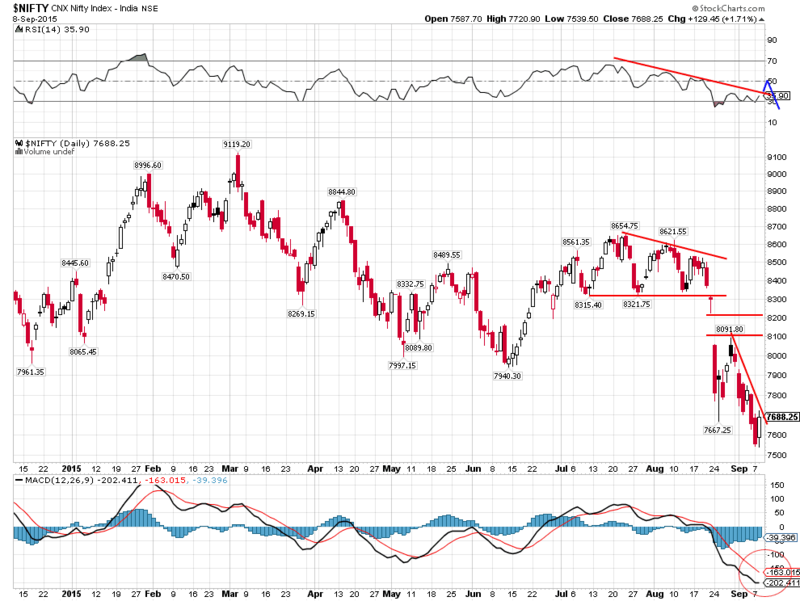 The chart shows more downside to come in coming weeks. From my experience my observation on RSI and its correlation with correction: "for a healthy new leg up, the correction has to end up when RSI settles down in between the range of 50 & 45. I have marked this in the above chart, and we can clearly see that there is still room for the downside. Also look at the MACD, there isn't any signs of bullishness yet. Bollinger bands are contracting, and by the time we end this correction phase, we will see a tighter band, making prices to hardly move within a congestion zone. Narrowing it down, Correction isn't over yet. Now let us also check the daily chart of Nifty to understand how yesterday's ‘move up’ has impacted. A little impact could be found. There isn't any drastic change that we could find. Look at the downward sloping trend line, Nifty hasn't answered to the resistance created by the gap down that we witnessed last month. RSI hovering around the oversold zone, yes this could be taken up as positive or negative and MACD still negative. Even if we find some follow up swings in todays trading session, unless we see some drastic reflection on the chart, I think this correction is still in place. Short term Trend: Trending Down. The trend will not change until we close above 8210, which means 8210 would act as SL for those who are short in Nifty.